The 1920's and the 18th century have much more in common than one would first suspect. This is most evident in the attitudes encompassed by both. Both eras evoke a feeling of excitement, frivolity, youth and modernity. As the world came out of WWI- designers were eager to reflect this new perspective by looking towards the past for inspiration. During this time there is an emergence of pannier style gowns- dubbed the Robe de style. No one created these better than the incredible design house Callot Soeurs. This dress is inspired by them and their work. 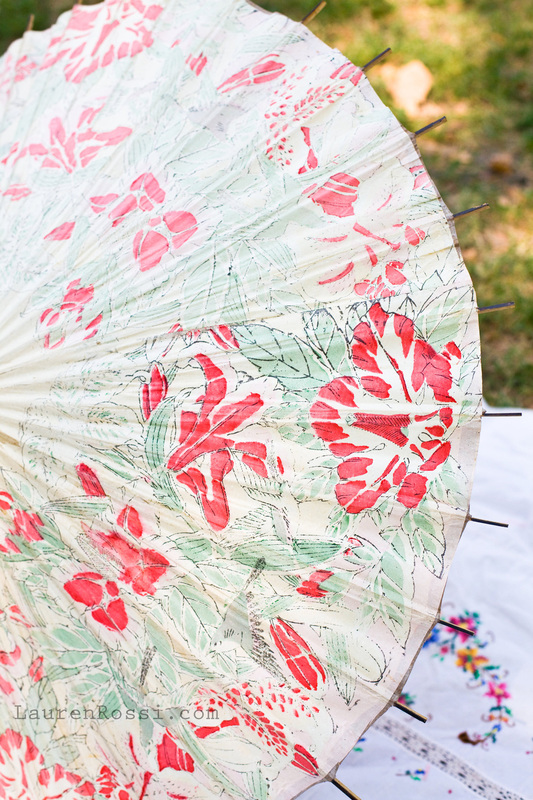 Most challenging was the creation of the ribbonwork flowers that trail across the skirt. To create the flowers- I studied both contemporary and period ribbonwork instruction manuals. The flowers themselves are made of silk which I hand dyed to create color gradations. This ombre effect helps to give them more depth and realism. 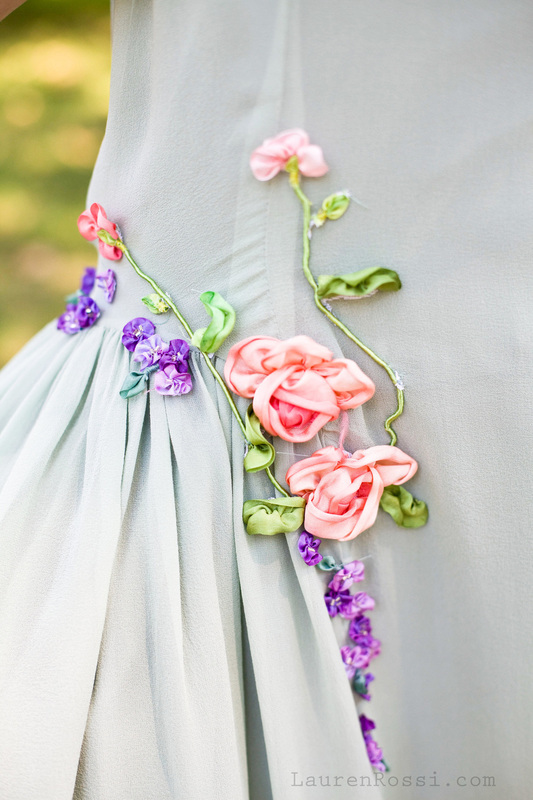 Flowers are sewn to crinoline and then attached to the dress. To clean this dress- all of the flowers must be removed and resewn on. When I could not find a hat I liked- I decided to make my own. The wide brimmed hat is made of Sinamey which I pulled and set with heat and pressure. The brim is wired. Extra ribbonwork flowers cascade from the crown into the brim. 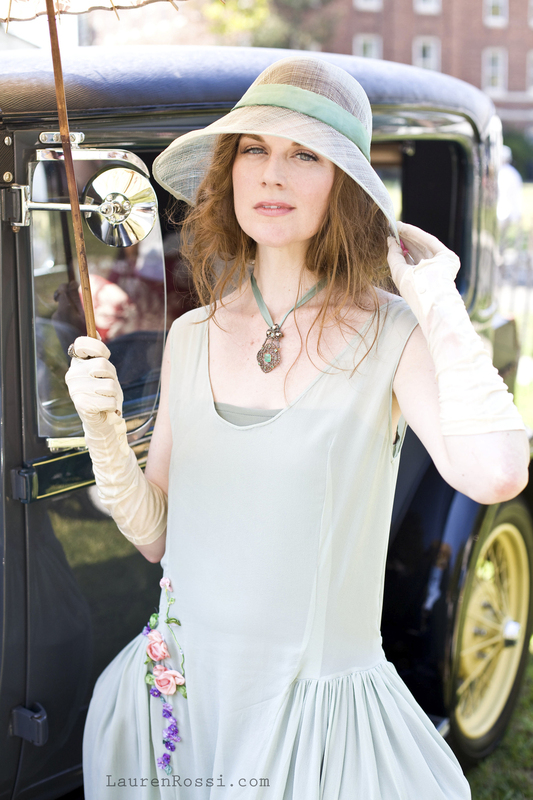 The wide sloping brim of this hat emulates the wide hips of the skirt. 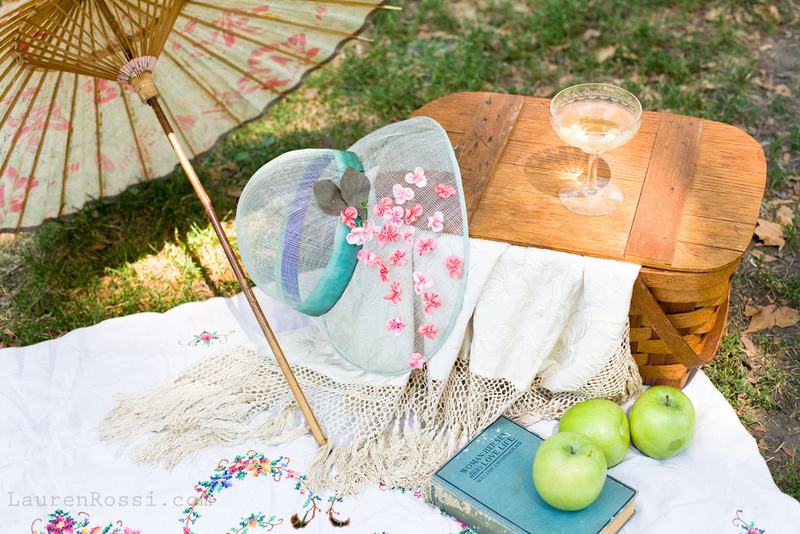 This style of hat was popular throughout the decade but particularly in the first half. 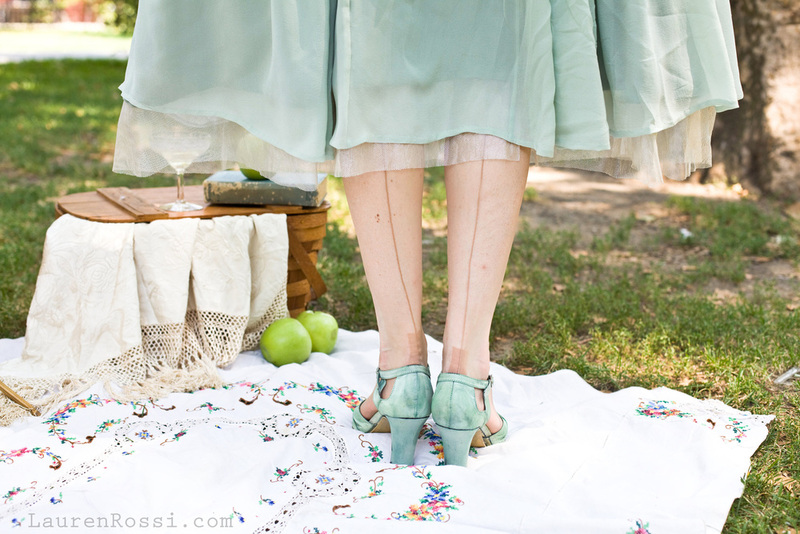 The dress is worn with vintage rolled stockings, authentic rolled garters (a favorite period trend!) and hand dyed shoes. The shoes are a modern reproduction that I dyed to match using procion dye. This was a much larger challenge than I ever expected! 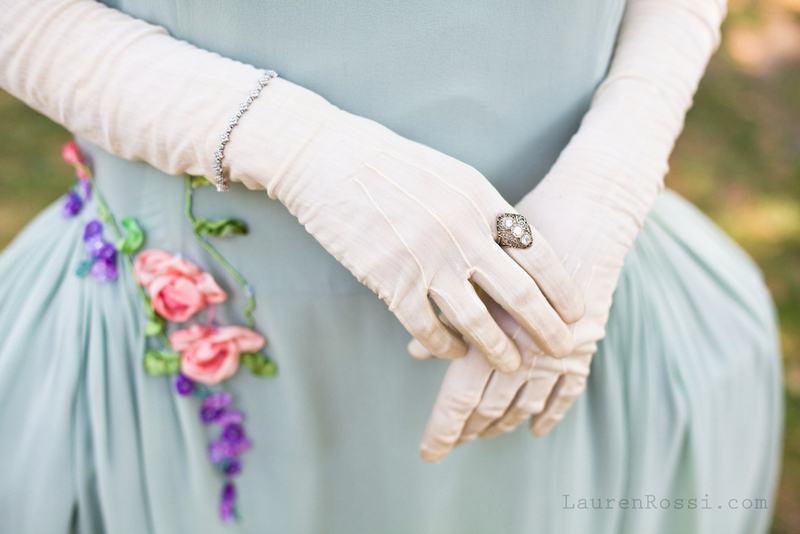 The dress in the photos below is also worn with antique silk gloves and an authentic 1830's emerald brooch which I converted to a necklace.